Chevy driver Dale Earnhardt Jr. won Sunday’s race at Phoenix International Raceway, after NASCAR officials were forced to call the race early because of heavy rain. The start of the race was delayed for approximately seven hours due to rain and the race was stopped on lap 219, which was 93 laps short of the 312 that were scheduled. Fellow Team Chevy driver Kevin Harvick led the most laps with 143 and he finished the race in second. Drivers Joey Logano and Kyle Busch finished the race in 3rd and 4th respectively. Last week’s winner, Jimmie Johnson, came in fifth and popular Team Chevy driver Danica Patrick finished the race 16th. Jeff Gordon, Kevin Harvick, Kyle Busch, and Martin Truex Jr. are the four drivers who will compete for the NASCAR Sprint Cup Series championship next Sunday at Homestead-Miami Speedway in the season finale. Joey Logano, Brad Keselowski, Kurt Busch, and Carl Edwards were eliminated from NASCAR’s playoffs. 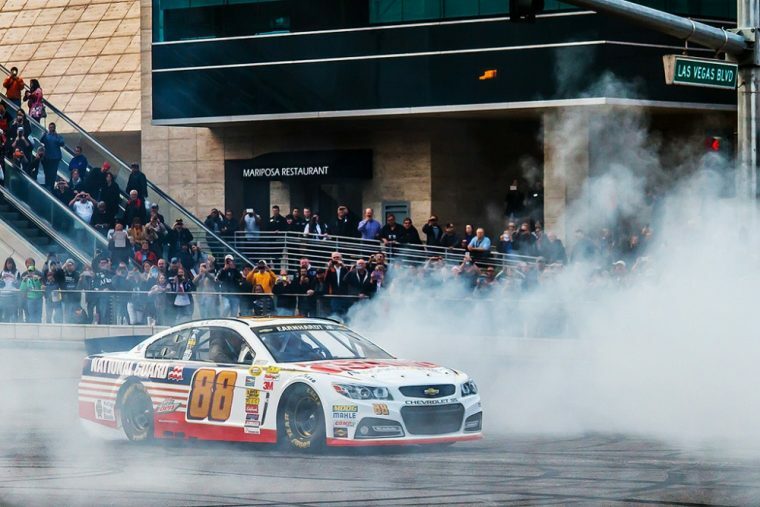 Earnhardt Jr. said after the race that he was lucky to earn Sunday’s victory at Phoenix. Next up for the NASCAR Sprint Cup Series is the season finale at Homestead-Miami Speedway on November 22nd. The race is scheduled to begin at 3 pm and will be broadcast by NBC.